“Why, oh why am I continually drawn to books who have complete douchebags as the main love interest? I mean, for realsies. He might be wickedly hilarious and sinfully good-looking, but the rampant and unapologetic narcissism! Puh-lease. How could I possibly justify rooting for a guy like that? !” I mean, thanks to a rather well done, pre-release marketing campaign it’s not like Dante’s personality has been a secret or limited to a tiny book blurb. Oh no, this fictional male made of self-proclaimed awesome has his own entire website in which he proceeds to tell the world just how amazingly amazeballs he actually is. Huhyeah. This should be a gigantic turn off… amiright? Actually, no. I mean, yes… in real life. But in imaginary, bookish world, not as much. What can I say? Narcissism fascinates me. So, I guess that’s the answer to my “Why?” Way to be all vague and whatever, Self. So anyway, the story. There’s this dude – the aforementioned narcissist Dante – and he works for the Boss Man claiming souls for the kind of eternity that includes brimstones and never-ending torment. And he’s good at it. Like the best. If Boss Man had an employee of the month photo wall, Dante would be totally owning that shizzle. And because Dante’s the best, Boss Man’s given him a new assignment: Dante has ten days to corrupt Charlie Cooper’s soul and claim it. If he does this, Dante gets a bright, shiny promotion that gets him the heck outta Dodge… er… Hell. Easy Peasy, right? Not as easy as you might think, actually. Dante Walker may have finally met his match in the unexpectedly squeaky-clean, vibrant, “glass-half-full” Charlie Cooper, and meeting his deadline is starting to prove a bit more difficult than he’d originally thought. Instead, the more time spent with Charlie starts “corrupting” his own worldview, and that is proving incredibly bothersome and problematic to the Boss Man’s #1 Collector, because nothing is going to stop him from completing this assignment. So let’s talk Dante… because I know you want to. As already established, there is nothing Dante loves more than Dante. If you looked up “arrogance,” “hedonism,” and “narcissism” in a dictionary, his picture would appear next to each one of those. So given that description, did I like him? Actually… yes, I did. He’s kinda impossible not to like. As with most people, there’s more to him than what he shows the world. And though he tries not to dwell on it – like ever… hence the drowning himself in pleasures, vices, and becoming Hell’s number one soul collector – he’s done a little soul searching since kicking the bucket two years ago. However, no matter how he conflicted and guilty he may feel about his job, his life and his afterlife, until now he’s strictly followed his golden rule – Dante Walker looks out for Dante Walker. But meeting Charlie Cooper – a person so unaffected and innocent – causes his long-forgotten conscience to inconveniently battle its way uncomfortably close to the surface. 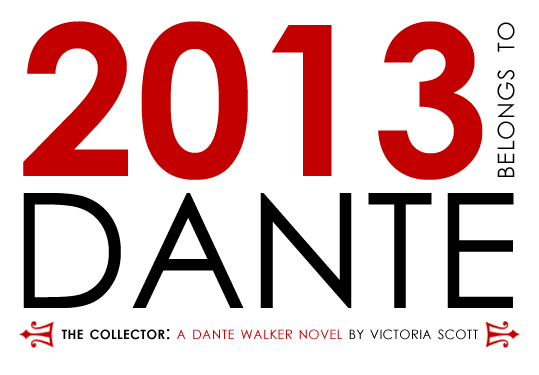 But never fear, Dante Walker isn’t remotely close to achieving sainthood. Victoria Scott promised us a bad boy, and she delivers. Dante is snarky, mean, devious, self-serving and no matter how much Charlie worms her way into the spot where his heart used to be, he has no intention of sacrificing his promotion on Earth for one slightly likable girl. The entire story is told from his point of view and let me say: boy is hilariously funny. Even when he is being downright mean. Which he is. A lot. To everyone. It’s the kind of mean that makes you feel bad, but Dante’s snide comments and internal sarcasm are just too funny – like fits-of-uncontrollable-giggling-that-left-me-gasping-for-breath funny. When it comes down to it, with Dante, I am extremely impressed with the way Victoria made Dante such a kickbutt bad guy, but also made him believably vulnerable and broken. It’s a hard balance to maintain, but she did it perfectly. Character development = two thumbs way, way up. So what’s the deal with Charlie? Rainbows vs. storm clouds. Sparkly pink unicorns vs. a… manticore. (Just roll with it, ok?) If there ever was a walking antithesis to Dante Walker, Charlie Cooper is it. In fact, Charlie is atypical of most YA heroines you find in books these days. She’s not what you’d call traditionally attractive… or cool… or socially competent. My mental reference for Charlie? Sue Heck from the Middle – super sweet, but with a wardrobe so bright and a disposition so sunny it almost hurts to look at her. Charlie is a nerd. But she’s a happy nerd. She’s bubbly, and caring, and giving, and optimistic, and grounded, and never assumes the worst of others. She’s the bright light to Dante’s perpetual darkness, and I love her. Charlie’s two closest friends and fellow social outcasts, Blue & Annabelle, also pleasantly surprised me. Have you noticed that many YA besties/sidekicks all seem like the exact same person? Super bubbly, guy crazy with no inhibitions, constantly pushing the heroine toward the dreamy love interest… or uber snarky man-haters… or super driven and brainy. I guess that’s technically three character types, but it feels like all YA besties fit one of those stereotypes, feel me? Blue & Annabelle just… aren’t that. Annabelle is intuitive, protective of her friends, kinda ballsy and mostly confident, though also succumbing to that craving to just belong. Blue is sweet, though painfully awkward, but when push comes to shove also fiercely protective of his friends. So… romance? The romance in this book was surprisingly PG given Dante’s corruptily sinful ways and hellbent nature. And it is the kind of romance I adore the most, a gradual meeting of souls – a recognition of something deeper. This entire book is pretty much one long delicious interaction between Charlie and Dante, and I gobbled that awesome goodness right up. For real. I devoured this book in an afternoon. World. I actually believe in Heaven and Hell, and this book isn’t anything close to what I believe, but it is still an interesting take the whole thing. It’s pretty much a scales and balances view of the afterlife – Heaven and Hell fighting to exist in equilibrium. Story. This book was definitely more of a character development piece than a plot-driven one. But nevertheless, the plot is still pretty solid with a good message. 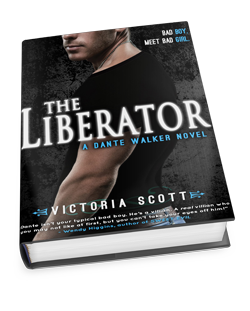 I have a feeling that The Liberator will be more plot-heavy based on how things ended in The Collector and by how well Victoria has established her characters. There were a few things in The Collector that seemed a little too coincidental and there was one nagging thing that bothered me about the conclusion, but I have a strong feeling (yes, another one) that this thing will also be addressed in subsequent books. Overall. So, is Dante as amazing as he says? I’d have to say, “HECK YES.” He (and Charlie) totally owned this book. Narcissism justified. I’m a YA writer with a die-hard affection for dark and humorous books. My work is represented by Sara Crowe of Harvey Klinger literary agency. 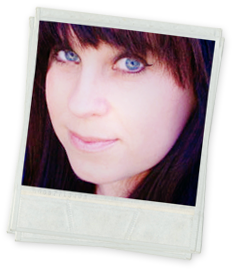 I have a master’s degree in marketing, and currently live in Dallas with my husband, Ryan. 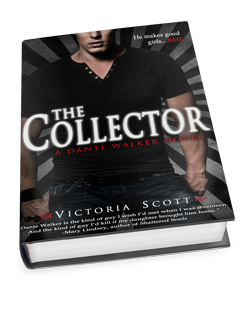 My first YA book, THE COLLECTOR, will be published by Entangled Teen, April 2013. It is the first book in a trilogy. My second YA series will begin with THE BRIMSTONE BLEED and is being published by Scholastic in spring 2014. I really liked this one too!! Great review hun!! Dang, 4.5 stars. I am impressed by the number of high ratings and positive reviews I’ve seen for this book. As much as I want to hate Dante, it seems like I need to read this book and see why everyone ends up liking him so much. Both books make my wish list. I’ve heard great things. I was looking for something to read on my kindle so this came at a great time! Gonna go buy it right now! Bought the book & already finished reading it. Gotta say I loved it! Cannot wait for the next one!